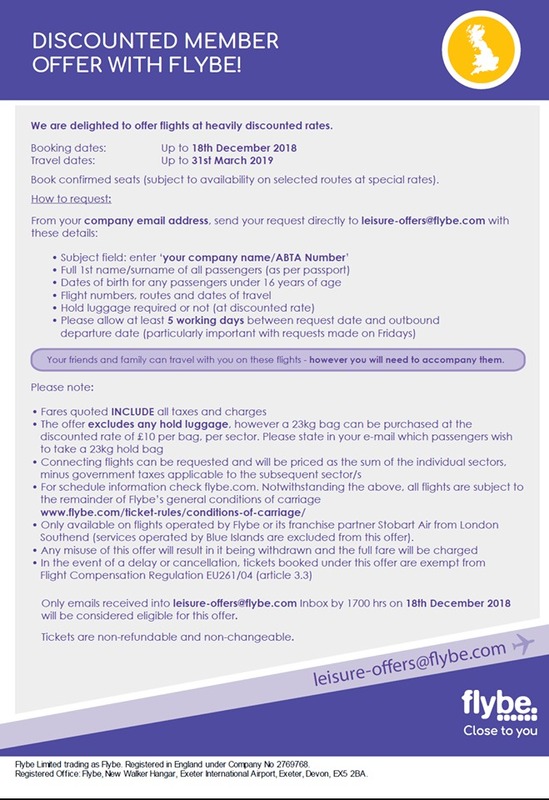 Details: Flybe are offering discounted flights at three price points, namely £40 per flight, £50 and £60. All these are one way, but the rates are also available for the return leg. Full details of the routes are in the further information section. You need to send an email to [email protected] to request the booking, bookings can be made for up to six passengers. There are details of what needs to be in the email, we show these in the Small Print section. Book By: Hurry – bookings must be in by 18 December 2018, the discounted flights themselves are only available until March 31, 2019. 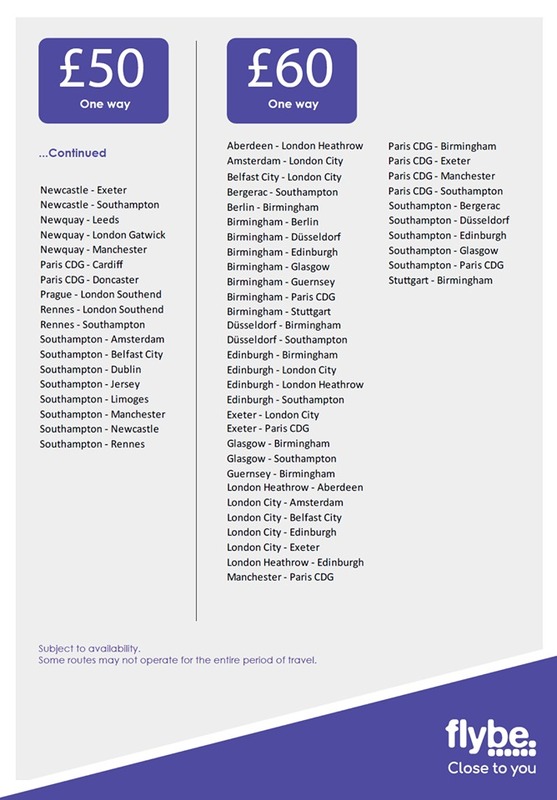 Flybe also ask for all requests to be made at least five days before the outward travel date. Eligibility: Valid for Travel Agents – your company name or ABTA number will be required in the email and then ID at check-in. Potential Savings: This is one where savings vary greatly. We found that on occasion, the discounted rates were no lower than rates we could find elsewhere, at other times there were considerable percentage savings to be made. Ease Of Use: It should be straightforward, as it is done by email it is easy to discuss any issues and ask questions. There’s not much more to say with this one – they are discounted flights, you know what you’re getting. 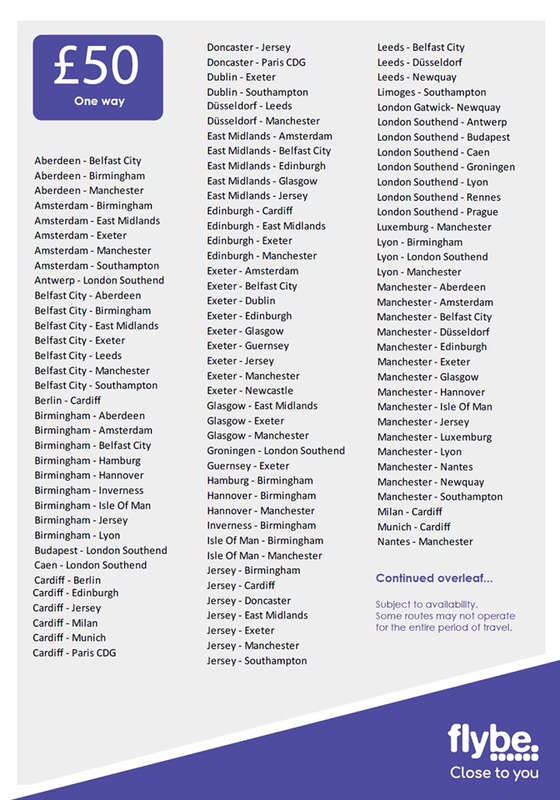 What you need to know is which routes are available and at what prices. 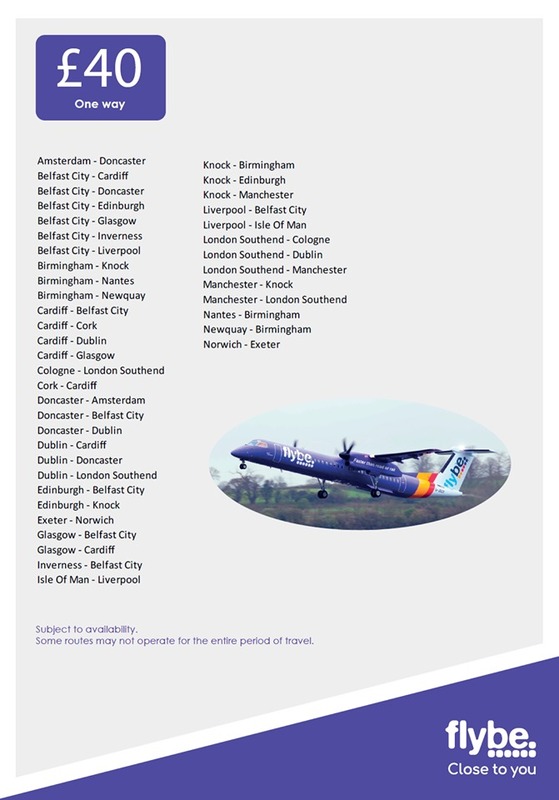 Flybe are offering the reduced flights to and from London (Heathrow), Belfast, Manchester, Liverpool, Paris, Berlin, Milan, Lyon, Edinburgh, Cardiff, Munich and many, many more wonderful cities.